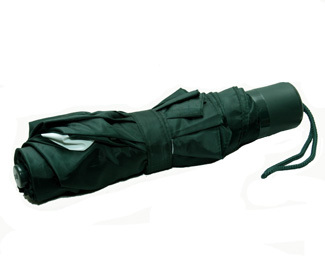 This compact pocket mini-folding umbrella features a strong manual telescoping shaft with comfortable color-coordinated handle. 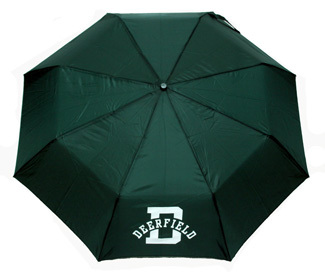 Screen-printed Deerfield logo on front panel. Folds to a compact nine inches for easy carry. Opens to a large 42-inch coverage. 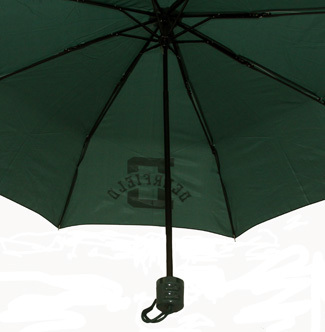 Water resistant nylon fabric. Comfortable finger grip handle. 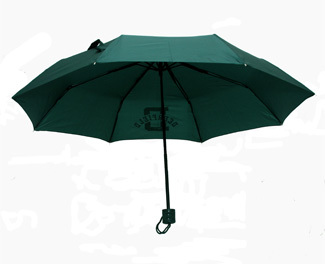 Available in dark green with white Deerfield logo.